Once upon a time candles were used to add decorative lights to Christmas trees. There's no doubt that a Christmas tree lit with the bright and cheery light of candles was a beautiful sight. There's also no doubt that many a home was reduced to a pile of cinders and ashes as a result of the combination of candles and tinder-dry Christmas tree foliage. But for centuries, candles were the only alternative for lighting Christmas trees. Around 1900, though, a major technological leap became available for lighting Christmas trees: electric incandescent lights. Incandescent Christmas tree lights were much easier to use than candles, and immeasurably safer. Incandescent Christmas tree lights quickly became the norm, with the use of Christmas tree candles relegated to the occasional nostalgia buff. Incandescent lights ruled for the better part of a century until a new technology began to supplant them. That new technology is LED lighting. 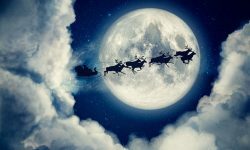 And the benefits offered by LED Christmas lights over incandescent lights are nearly as dramatic as the improvements that incandescents offered over candles. LED's generate light quite differently than incandescents. LED's use diodes to emit light, while incandescents create light by setting a filament aglow with electricity. There's a dramatic difference in the energy required between the two methods of lighting. When you convert from incandescent to LED lights, you can expect to use up to 90% less energy. 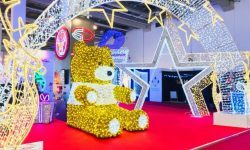 It's a great way to go green for Christmas.One side benefit resulting from LED energy efficiency is that you'll have much greater flexibility when designing and assembling your Christmas displays. Since LED's use so much less energy than incandescents, you'll be able to string more sets together, and use fewer electrical outlets and extension cords. LEDs don't last forever, of course. But it might seem that way, especially when compared to the lifespan of incandescent bulbs. LED bulb life varies based upon a number of factors, including manufacturer quality. 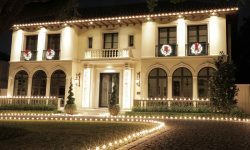 LED bulbs are commonly rated at lifetime estimates of 25,000 to 75,000 hours, and you can reasonably expect to get at least 6 or 8 seasons of trouble-free service from a well-cared-for string of LED Christmas lights. Incandescent Christmas lights come in a wide array of colors, right? Wrong. Incandescent bulbs actually create light in only one color - the natural whitish glow of the electricity burn on the filament. The only way to achieve additional colors is by placing a colored bulb over the filament. That process works, of course, but the resulting colors are anything but pure.But with LED lights, the diodes emit light on the wavelength of the desired color. A red LED bulb, for example, emits true red light - not white light filtered through a red lens. The result is brighter, purer, more natural colors than are possible with incandescent bulbs. Compare incandescents and LEDs side-by-side, and you'll see that the difference in brightness and color purity are quite striking. 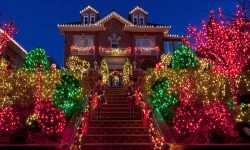 Where to Buy LED Christmas Lights: It DOES Matter! Not all LED lights are the same. Quality can vary considerably among manufacturers. Just like any other product, you can buy cheap and get cheap, or you can pay a bit more and get top quality. And the old rule-of-thumb holds true for LED lights as it does for most products: buying cheap will cost you more in the long run. So where should you shop for LED Christmas lights? Start by avoiding the big box retail stores. Many of the products sold in those mega-retailers are purchased cheap and sold cheap. And the quality of those products tends to be right in line with the prices. Going that route is a good way to prove the rule-of-thumb referenced above. 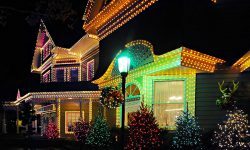 Your best bet for LED Christmas lights will be to find a niche retailer that specializes in Christmas lights and décor. A retailer specializing in the industry will be well aware of the differences in quality offered by different manufacturers. Since a niche retailer is serving a smaller and more focused clientele, it's in the retailer's best interest to provide top-quality products to its customers. 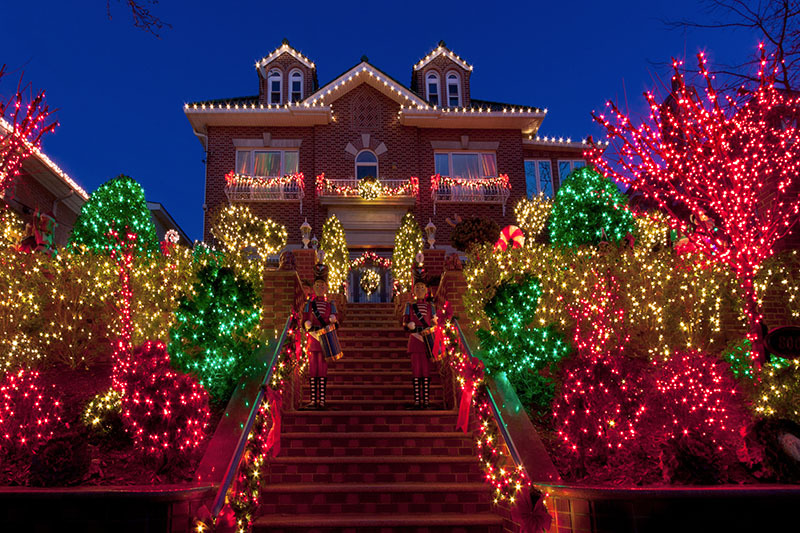 And if you can find a niche retailer of Christmas supplies that also offers professional installations of Christmas displays, buy the same brands of lights that they are using in their installations. 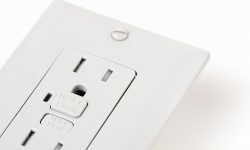 Professional installers know that using the best products cut down expenses and headaches in the long run, so you can be sure you'll be getting the best quality if you use what they use. LED Christmas lights haven't been on the market for all that long. But though LED lights are relatively new technology, the improvements offered over incandescent lights are so dramatic that LEDs are rapidly becoming the standard. America's most famous Christmas trees are now lit exclusively with LED Christmas lights, including the Capitol Christmas tree in Washington D.C., and the famous Rockefeller Center tree in New York City. And many of the world's largest cities have converted their entire Christmas displays to 100% LED lights. You aren't lagging behind, are you?